Modular construction is, quite simply, 21st Century craftsmanship. EXCEPTIONAL CUSTOM ENGINEERING AND CONSTRUCTION. In the hospitality industry you need: high quality, low cost, durability, appeal, expandability. We‘ve got you covered—Stratford Homes® delivers: precision technology, craftsmanship, customized design, great value, year-round construction and structural integrity. With modular, time is on your side. You can't turn a profit if you don‘t have rooms to fill. On-site construction can get bogged down by a shortage of labor, weather delays, unreliable contractors and site completion. Indoor, year-round modular construction and concurrent site development rise above the mire. The need for a new educational facility can evolve almost overnight because of surges and ebbs in population, specialization, and evolving technologies. Modular construction makes it easy and affordable to grow. Whether it‘s the bright, functional environment of a daycare facility or a technologically advanced, spacious computer center, Stratford Homes® can design, construct and deliver high-quality modules that meet your changing demands and deadlines. BUILT TO LAST, BUILT FAST. Educational facilities are high traffic, high use facilities. Because our materials are not exposed to the elements during construction and our modules are designed and constructed to withstand the rigors of transportation Stratford Homes‘ facilities can withstand rugged, everyday treatment. The life care facility industry is dynamic—trying to serve the needs of a rapidly increasing elderly population and those in need of community-based care, keeping medical technologies up-to-date, and providing comfort to both residents and staff. Design of these facilities is complicated because you must harbor advanced medical technology, but house it within a space that feels like home. And then there's the issue of expansion—facilities quickly fill to capacity and yet there is an ever-increasing demand for more units. At Stratford Homes,® we build a life care home. One that incorporates the well-being of residents, their families and staff. And one that incorporates the best aspects of any home— energy-efficiency, low cost and high value, comfort, durability, privacy and personality. The added beauty of modular construction for an industry bearing rapid expansion is the inherent cost-effective, easy expandability. At Stratford Homes‘ we design with growth in mind —that means you can more quickly match demand and provide homes for those in need. Nor do your patients. Every day spent on construction of your facility means fewer patients seen, fewer health problems addressed, a greater potential for lost patients, and no income generated. The design of a medical facility must incorporate the comfort and wellbeing of patients. You need facilities that incorporate daylighting, are energy-efficient, have better indoor air quality and acoustics that ensure privacy. At Stratford Homes,® we understand. We don’t just design any building—we design your facility. Your needs, and those of your patients, define the direction we take. Define your needs, describe your style and let us do the rest. We understand what matters to you—aesthetics, interior layout, differential exterior design and technological considerations. And we have the technology, craftspeople, facilities and flexibility to incorporate these crucial elements into your modular facility in a cost-effective, quality, timely manner. If you want to beat the rental market, you have to be better than the competition. You have to go modular. With Stratford Homes’ thirty-five years of experience, precision technology, climate-controlled facilities, and staff of professional craftspeople you can lower your costs, decrease your construction cycle, and offer clients a unit that is more energy-efficient and sturdy than conventional on-site stick-built units. The faster your project is completed, the less interest you’re paying on your construction financing, and the more income you generate with rent and sales of units. But a shortage of talented local labor, weather delays, unreliable contractors and waiting for site completion can put the brakes on the construction process and give rise to higher costs. We understand. After 35 years, we've got a pretty good feel for what makes a multi-family housing project successful—speed to market, quality and cost savings. We also have the talent, facilities and technology to make that happen. 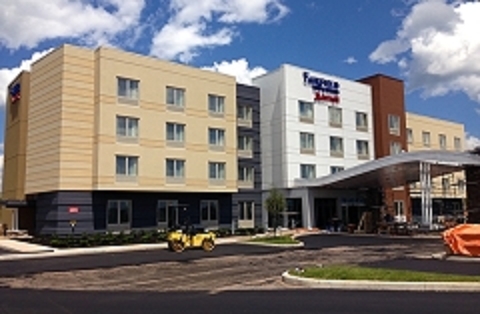 Modular hotel construction might have gotten a bad rap in the past, but sources said newer methods are proving a hotel development game changer.